We are continuing the clean-up of the secluded Sfougares Beach/Afrata. WHERE: meeting point: New Harbour in Kolymbari, also for car sharing! For the third time, in collaboration with the recycling plant in Akrotiri DEDISA A.E. 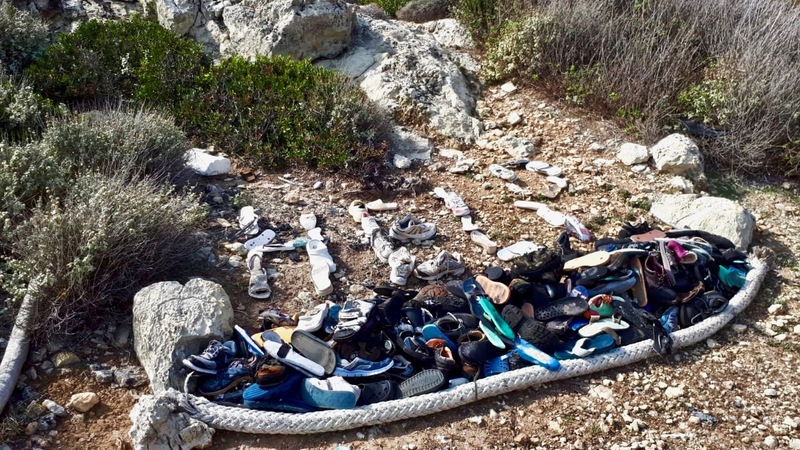 (OTA) , Plasticfree Greece volunteers and the team of Plastic Pollution PreventionP3 together with young volunteers in the prefecture, we are cleaning the secluded beach of Sfougarés between Kolymbari and Afrata. It will be the first official action of the Green Team of DEDISA, the newly established volunteer group that will operate under the auspices of the company to promote green actions in various areas of the prefecture. About the past 2 clean-ups at Sfougarés Beach, in October and December. Let us know if you’re coming, so that we don’t leave alone behind. The best way is a short message in the discussion below. For any other help with directions, lifts, or anything else, you can call 6944413919. We are looking for a boat, to help with the removal of the rubbish from the beach. The beach is only 5 minutes by boat from Kolymbari, but it’s a steep hill up to the road on fraying, loose gravelly soil among spikey bushes. Not the ideal terrain for carrying heavy bags filled with rubbish (speaking from experience!). A boat would make removing the rubbish way easier. If you have a boat, or know of anyone who has one, preferably in Kolymbari harbour, and would be willing to help, please let us know. the beach cleaning at Afrata for next Sunday will be cancelled , due to the bad weather condition.